Fans of Disney's Alice in Wonderland who love tea will love these Disney Parks items. These are some of my favorite finds! 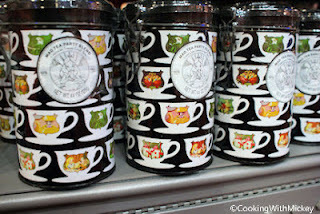 Many of these you can purchase online and those you can't are available at World of Disney in Downtown Disney or Mouse Gear in Epcot. 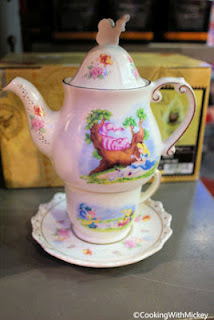 Not only do you get a tea pot but it comes with a tea cup & saucer. 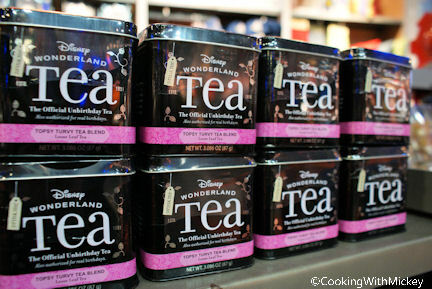 Tea for one? I love these cups! 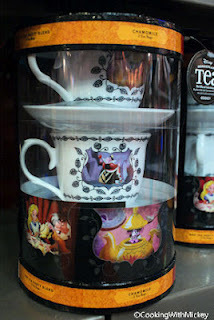 One of my favorite scenes in this classic movie is Alice having tea with the Mad Hatter just as depicted on these porcelain mugs. 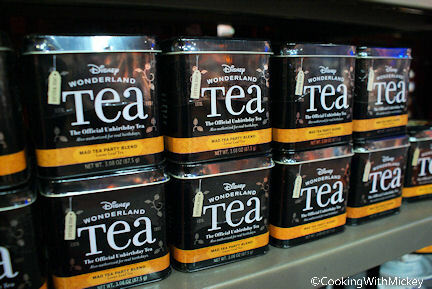 So there is more than just you at your tea party. You can get a set of tea cups and saucers featuring different characters from the film. 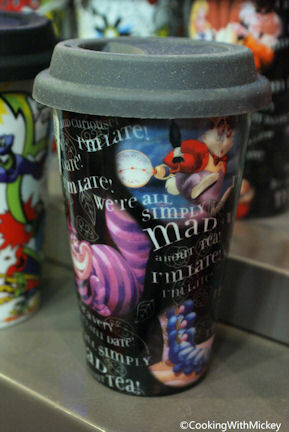 For the Alice in Wonderland fan on the go. 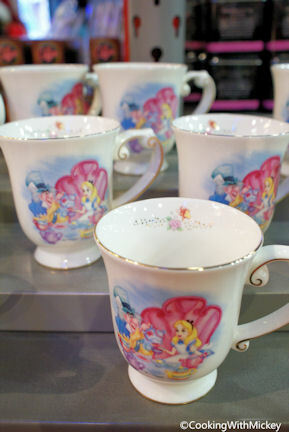 This to-go mug is porcelain so be careful! A small tea press like this is great to keep on your desk at work. All you need is your favorite loose leaf tea and some hot water and you are good to go. 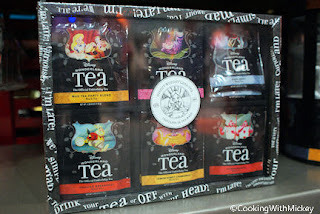 This tea variety pack give you an opportunity to try different flavors and not get bored drinking the same tea day after day. 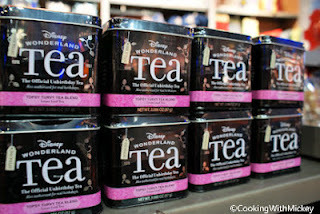 Flavors include English Breakfast, Earl Grey, Mad Tea Party Pomegranate, French Vanilla, Chai, Jasmine, Blueberry, Mint, Papaya, Passion Fruit, Mango, Lemon Honey, and Chamomile. If twelve flavors of tea is too much variety you can also pick up a box of six flavors. Topsy Turvy; Everything is upsy-daisy; Topsy Turvy; Everyone is acting crazy... So this tea might not have you acting crazy but it might be just what you need on a crazy day. This "The Official Unbirthday Tea" is a medium strength tea with Premium Blend of Indian Black Teas, Safflower and Calendula Petals, Oil of Bergamot and Orange Flavors. The Mad Tea Party Blend is another one of "The Official Unbirthday Tea" blends. It has Indian Black Teas, Safflowers, Calendula Petals, Ginger Bits, Apricot Bits, Peach and Apricot Flavors. 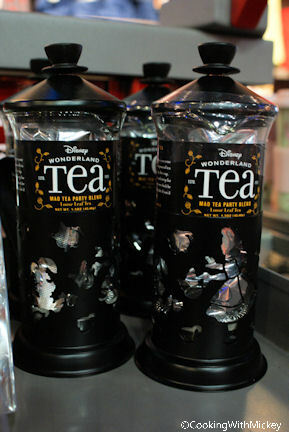 This canister of Mad Tea Party Blend loose leaf tea is great. When you are finished with the tea you can refill it with another favorite tea or something completely different. I love reusable containers! A favorite of Alice's is the English Breakfast. Maybe not but it should be! 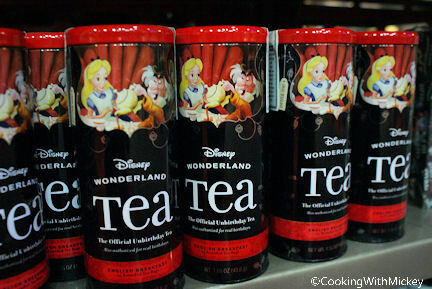 This canister holds 25 tea bags. 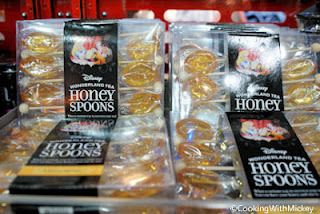 Being that Winnie the Pooh and Alice come from the same country, Pooh recommends that you also pick up some honey spoons to sweeten your tea. I find that honey and German rock sugar at a nice sweetness without tasting sugary. 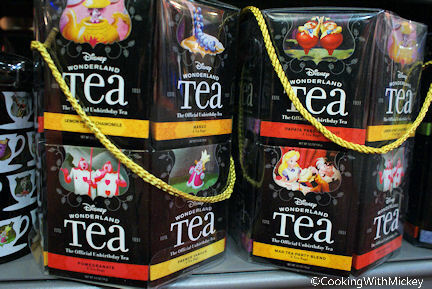 Alice in Wonderland is one of my all-time favorite Disney movies and I enjoy tea so I think these are fantastic. I've even picked up more than a few of these during my recent visits.